Hollywood would have us believing that only a genius can crack the code to success inside a casino. In Rain Man, Raymond Babbitt used natural abilities to count cards in blackjack while pit bosses were none-the-wiser. In 21, a team of gifted MIT students developed a system to engineer the same game. Others have used everything from sophisticated loopholes to computer algorithms to break games like blackjack, poker, and, in this case, roulette to win millions. But it doesn’t take a perfect SAT score or complicated software to increase the chance of success at the roulette wheel. There are proven systems in place that people use to win big. Before you sit down at the next roulette wheel and place your chips on the table, use one of these two systems to help line your pocket. Before we talk about what you should do, we first need to speak about what you should not do. Negative progressive betting sounds good in theory—simply double your bet after each loss to eventually recover—but most roulette tables have a betting maximum, and a bad streak could leave you thousands in the hole. Gambler’s fallacy, the assumption that a number is “due,” will also lead you nowhere. It doesn’t matter if the wheel hits red 50 times in a row. The chances of it hitting red a 51st time are the same as any other spin. But most of all, you need to walk into every casino knowing that even the best systems only increase your chances to win—they’re not guaranteed. Negative progressive betting will land you in trouble, but positive progressive betting—where you increase your bet with the casino’s money after a winning roll—carries less risk with more reward. The name comes from the French phrase “a part and the whole,” and uses 1/3 of your available money for the first bet (the part). If that first bet is lost, the remaining 2/3 (the whole) is bet on the second spin. If the first or second bet wins, take the winning amount with the profit and repeat the process again—first 1/3 then, if lost, remaining 2/3. 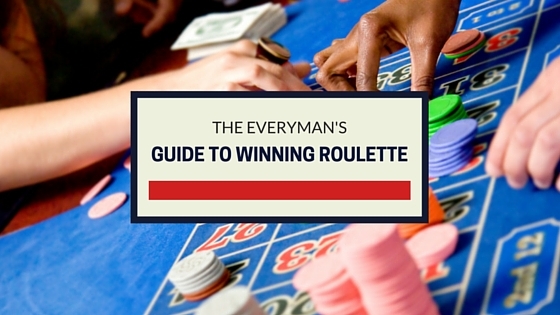 This routine can increase your chances of total winnings over time. Learn more about the Tier et Tout system. The Kavouras betting strategy may seem complicated and chaotic, but the system works with 20 different numbers which make appearances more familiar (this helps with morale after a long session at the wheel). The selection of those 20 numbers is also completely random, which helps avoid suspicion from the pit boss who might think you’re working with a system against the rules. So how does it help win money? With 20 numbers played at once, every win earns a small profit. And since the goal is to bet different amounts on different numbers too, some wins could yield larger profits than others. Learn more about the Kavouras bet strategy. While one system uses progression and the other uses calculated chaos to increase the odds, the house will always collect. While these systems do help your chances compared to going in blind with no game plan, always remember that there is no guarantee you’ll win money and these games are set up to make a profit for a casino. But we don’t gamble for the guarantee; we do it for the excitement. So if you are going to play roulette, you might as well use a system that can help in any way possible. Our team at Online Casino Bluebook is dedicated to bringing you the most cutting-edge news in the online gambling world. We are also happy to answer your questions and find solutions. Good luck gambling online in 2018!